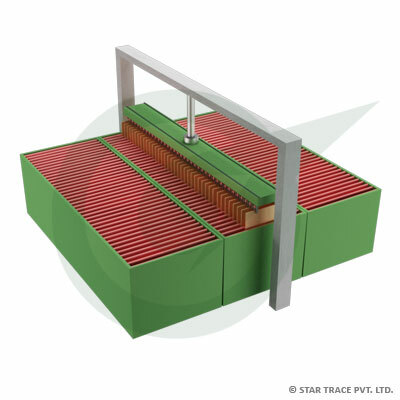 Electrowinnings | Copper Extraction Equipment | Star Trace Pvt. Ltd.
Electrowinning also called electroextraction, is the electrodeposition of metals from their ores that have been put in solution or liquefied. In electrowinning, a current is passed from an inert anode through a liquid leach solution containing the metal. So that the metal is extracted as it is deposited in an electroplating process onto the cathode. In electrorefining, the anodes consist of unrefined impure metal and as the current passes through the acidic electrolyte. The anodes are corroded into the solution so that the electroplating process deposits refined pure metal onto the cathodes.